The team at We Stand With Paris are designing a web- and app-based mechanism by which individual American citizens can engage the Paris Agreement as authentically and as seriously as the larger Subnational Movement, and in ways appropriate to their scale. Specific Mitigation Commitments: The original U.S. Intended Nationally Determined Contribution (INDC) was a 26% - 28% reduction by 2025 from a 2005 baseline. We aim to hold our parties (the individual signatories) accountable at a minimum to that same commitment. Accurate Reporting and Public Accountability: A state of the art carbon calculator will seek to provide the same accuracy demanded of the larger Subnationals. Signatories will make a public commitment on our website and will annually report on their progress. This involves first taking a baseline carbon footprint measurement shortly after signing the commitment, then annually updating their personal footprint to measure their progress. Increasing Ambition: Because the original Paris Agreement commitments were insufficient to keep global warming below the targeted 2 °C goal, the agreement calls for periodically increasing the ambition of national targets. 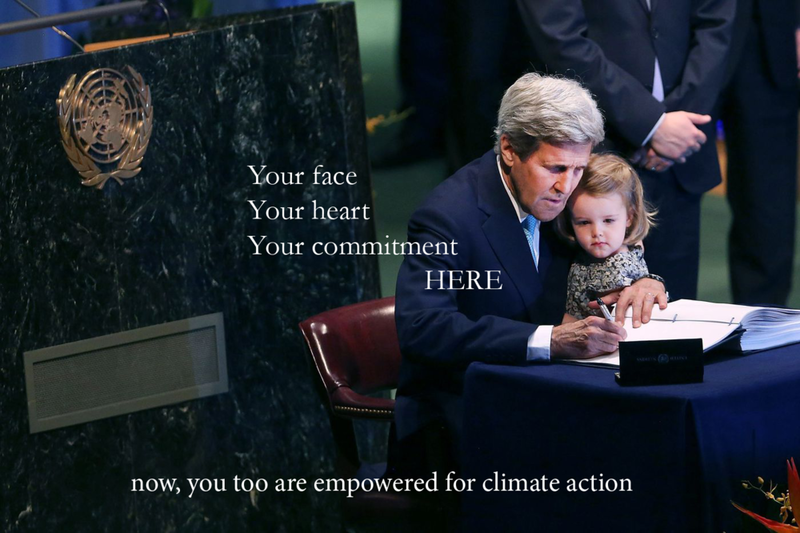 Similarly, we will ask our signatories to periodically increase the ambition of their carbon reduction. Adaptation for Least Developed Countries: Voluntary adaptation assistance forms an important part of the Paris Agreement, and the United States committed to $500 million per year for the Green Climate Fund. Our signatories will have opportunity to voluntarily contribute to a fund designed to support Least Developed Countries in their efforts to adapt to climate impacts. Other Provisions and Future COP Developments: Later versions of the engagement mechanism will seek to draw signatories into as many provisions of the Paris Agreement as are meaningful and appropriate: e.g. Loss and Damage, Education, etc. In addition, it will evolve each year as the Paris Agreement, under the supervison of the UNFCCC, unfolds.